I had quite a few broken pieces myself so my advice might not help but what I started doing was cutting the sprue near the connection points that break. So that when I removed the model from the sprue there was still a little bit of sprue left attached to the weak point. Then I carefully removed the last bit of sprue and it was easier than trying to cut the model out in one go. I've heard several complaints like this before, though I don't have the game myself. You might try contacting PSC with a picture of the damage and see what they say. Never hurts to ask, if you do so politely. After allowing to completely dry use a razor saw to weaken sprue connection. Snip to finish. 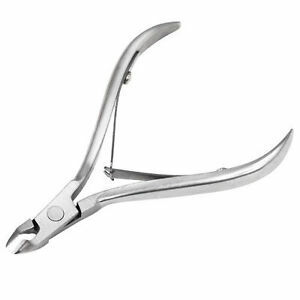 Try these, nail tech nippers, that's what I use for all my plastics. There are several good videos on Youtube that show how to de-sprue all the guys without breaking bayonets. After watching I did two full game sets (using only clippers like the ones pictured above) and only broke two of the guys. Even then they are still usable since the blade snaps off right at the end of the barrel so he's just carrying a rifle and it looks fine. Thanks for all the tips. They certainly help. apply a little heat before cutting to make the plastic less brittle. I did what BigNickR suggested, and didn't break any bayonets, top tip!